Were You Injured While Riding a Faulty Citi Bike? Since 2013, NYC residents have had access to Citi Bike's fleet of rental bicycles. All over the city, the bikes are parked at docking stations for renters to check out. Citi Bike's fleet includes 12,000 bikes parked at 750 stations with plans for future expansion. Most rides are uneventful, with the riders safely getting where they need to go. But what happens if the brakes fail? What if a bike was improperly maintained? If you or a loved one were injured while riding a faulty Citi Bike, you may be eligible for compensation. Citi Bike does not publicly disclose their routine maintenance and inspection schedules. The company only states that Citi Bikes are "regularly inspected, cleaned, and visited by technicians," but how often is that? Citi Bike relies on its riders to report maintenance issues. When experiencing problems, riders are asked to park the faulty bike at the nearest docking station. There is a special button on each docking station that the rider can push to notify Citi Bike that maintenance is needed. This notification also "locks" the bike and prevents other riders from renting it. What happens if a rider doesn't properly report a faulty bike? Who is held responsible when other riders are put at risk for injury? Citi Bike is backed by several partners, including the New York City Department of Transportation. 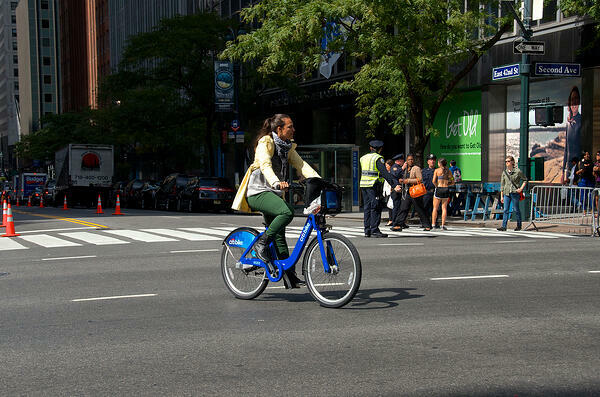 Citi Bike riders have the expectation of a safe ride, every time. If you were injured through no fault of your own while riding a Citi Bike, you may be able to seek damages. At Smiley & Smiley, we are experienced personal injury lawyers serving the NYC metro. If you are entitled to compensation, we will aggressively pursue your case. Please contact us now to schedule a free consultation.